After weeks of postponing and teeth gritting (yeah got some difficulties) I finally managed to finish this here drawing. This is a cover of anu pcoming fanfic a friend of mine wrote me. I'll provide an indirect link to it when it's up. 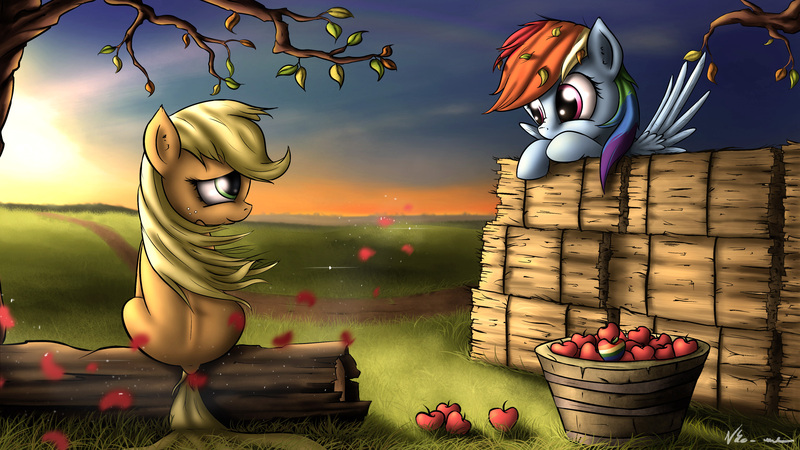 Also, Happy Hearts and Hooves Day! I alredy commented this image in your DA! But oh well, is just too Great! Here as well! Amazing Neko sensei! Is Lovely! The eyes they have, the expression X3 it can feel the cute love between them!